This is it! 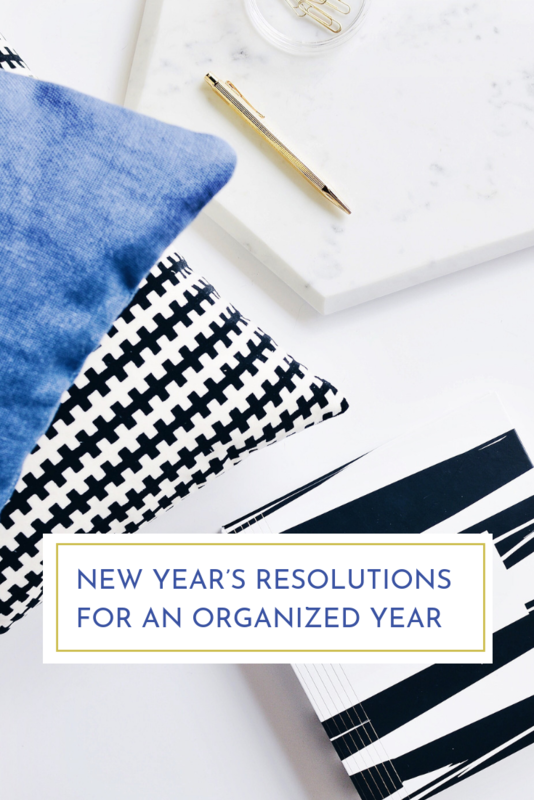 It’s finally going to be the year you get organized! You’ve got the mindset and the willpower; you just need a few tips and tricks to keep you on track. Luckily, we have the advice you need for starting (and continuing) the year strong! Say goodbye to old, lazy habits and that I-thought-I-had-something-important-to-do-today-but-can’t-remember feeling. This is the year for organization, as well as a happier, in-control you! See below for our six ways to organize your life in the New Year. Whether using a traditional calendar or any of the numerous calendar apps, taking the time to record appointments, reminders, tasks, etc. helps organize your life tremendously. If using your smartphone, set reminders and sync calendars with your spouse or kids; that way everyone is on the same page with important dates. If sticking to a calendar hasn’t been your thing in the past, get creative. Make it fun by adding a chalkboard calendar or dry erase to your kitchen or office. Find what works best for you so you can stick with it! Studies show that people perform better when they write down what they need to do. Plus, there’s something so satisfying about physically crossing things off a prioritized list. Digitize your to-do-lists, or feel free to grab the good ol’ paper and pen. I’m a Post-it gal myself, but either way, this will help you visualize tasks so that you can plan your calendar accordingly. While writing out those to-do lists, try not to overextend yourself. Starting the New Year is invigorating, and you may have the urge to tackle everything from gutting the closets to the pantry. However, pacing is key to avoiding feelings of discouragement, which sometimes lead to giving up on your resolution. Know your limits and give yourself realistic time frames. You can always update goals throughout the year, versus taking on all projects in January. Healthy daily, weekly, and even monthly routines will help you stick to your goals. Think about tasks you can incorporate into your regular practices. Keep it simple like making the bed daily, paying bills weekly, and cleaning out your wallet monthly. Adopt new cleaning habits, which allow you to stick to a productive routine. Perhaps, instead of leaving all the cleaning for the weekend, focus on a different area of the house each day of the week. As you get into the swing of it, come mid-year it will be second nature. Sometimes clutter builds up because we haven’t established a home for those items. So, as you begin to organize, make a note of any storage containers, additional shelving, etc. needed to get organized properly. For example, a wire basket can work great for incoming mail. Or buy a drawer organizer to sort odds and ends. Also, don’t bring home anything new unless you know where it will go, and don’t be afraid to use shelf labels or color coordination to keep kids and family members on the same page. Lastly, no one expects you to tackle such a big New Year’s resolution on your own. There are plenty of tools and resources that can help keep you organized throughout the year. Like mentioned above, there are a handful of highly rated smartphone apps as well as digital assistants that can create and keep track of appointments, tasks, and reminders. Plus, enlist help from members of the family. Don’t do all the chores alone. Delegate tasks, and make it a household effort. Here’s to the Most Organized Year Yet! Don’t forget to celebrate your success as well. Keep track of your progress each month and treat yourself to something fun! We at Omega Products specialize in unique storage solutions. For wire shelving and other product inquiries, chat with our experts on Live Chat or at 1-800-221-8665. Toni is a firm believer that organization is the key to productivity and brings her design eye into the mix. She loves to write, owns a garment rack in each room of her house (for just her clothes alone), and is on a mission to discover the best home and office decluttering tricks. Why Buy Epoxy Wire Shelving?